Add fun and glamour instantly to any ordinary collar. 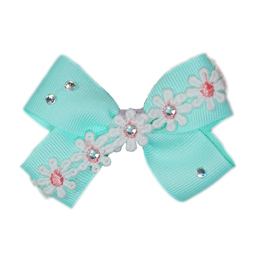 Each collar slider is handcrafted with special ribbons and trims. Slider attaches to existing collar with velcros. Measures 3". Recommended for neck size 12"-14".